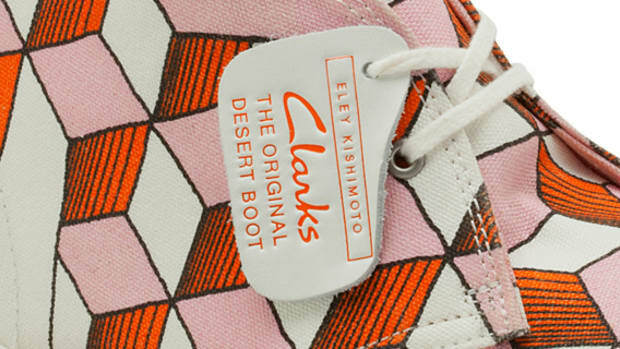 Progressive Japanese fashion brand sacai joined hands with Clarks for their forthcoming Spring/Summer 2014 collection. 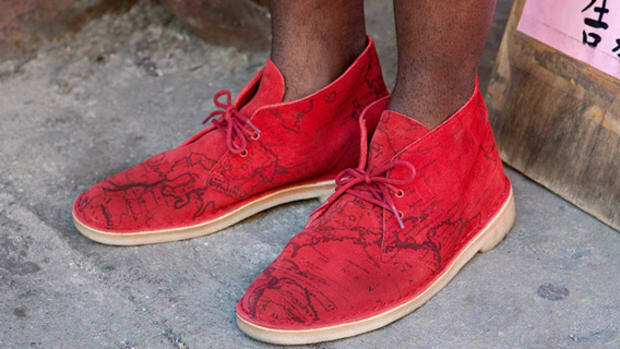 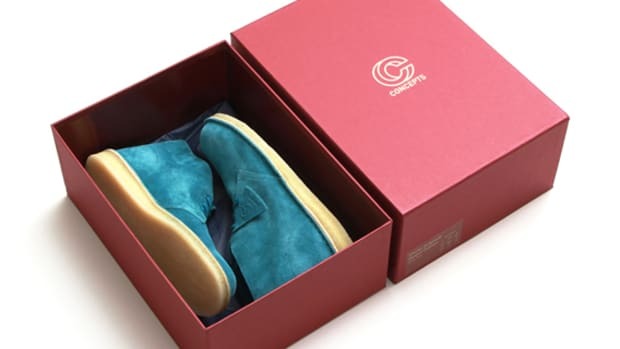 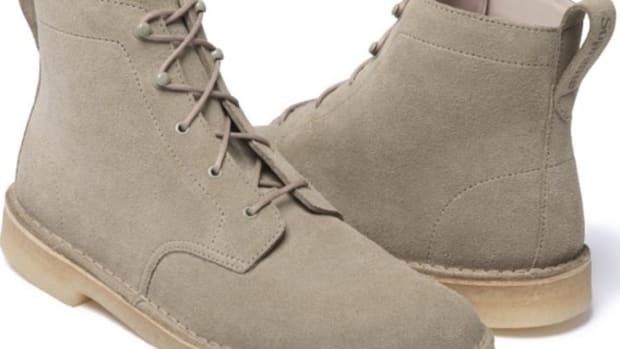 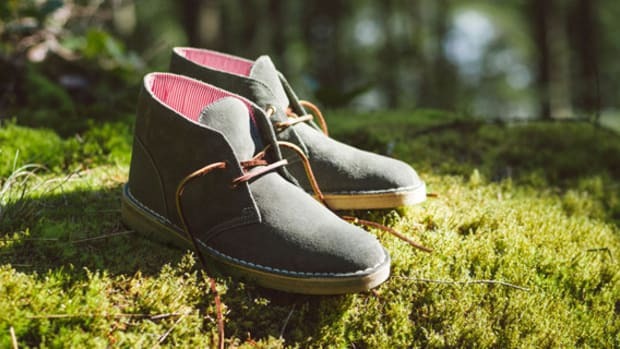 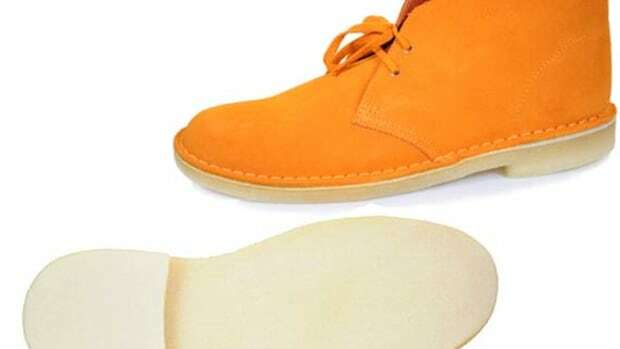 In particular, these limited edition Desert Boots are part of the men&apos;s line, consisting of two styles and two colorways. 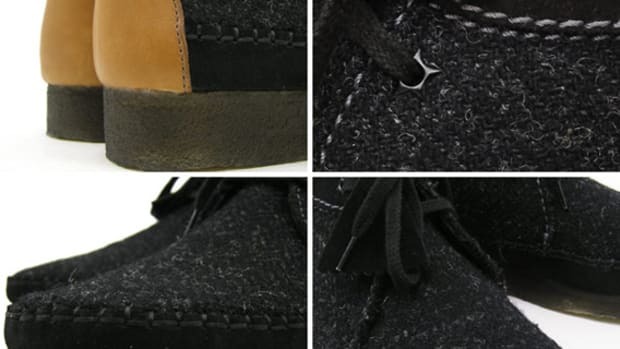 Perhaps the ribbon shoelaces may not be for everyone, but its two-tone upper breakdown is an interesting accent for the classic footwear. 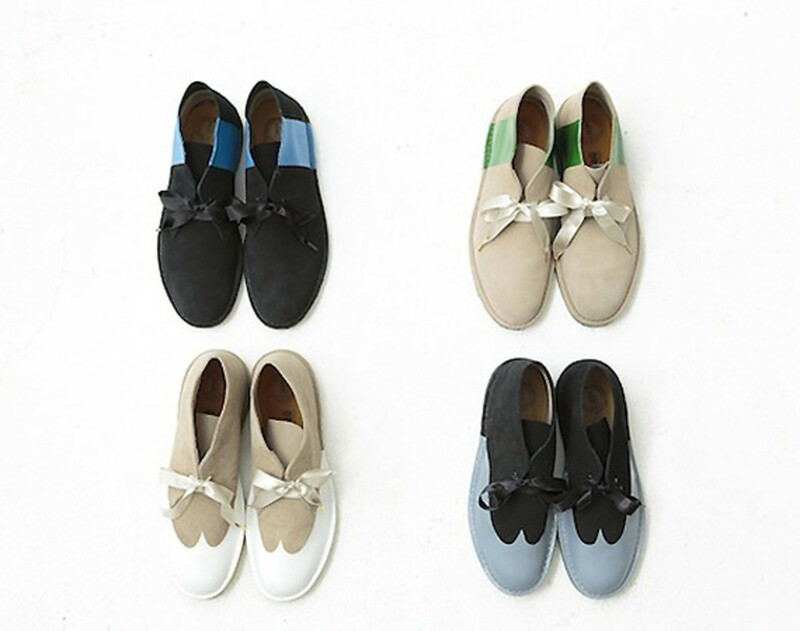 Rubber paint is printed on the leather uppers, creating a wing-tip pattern and vertical side stripes. 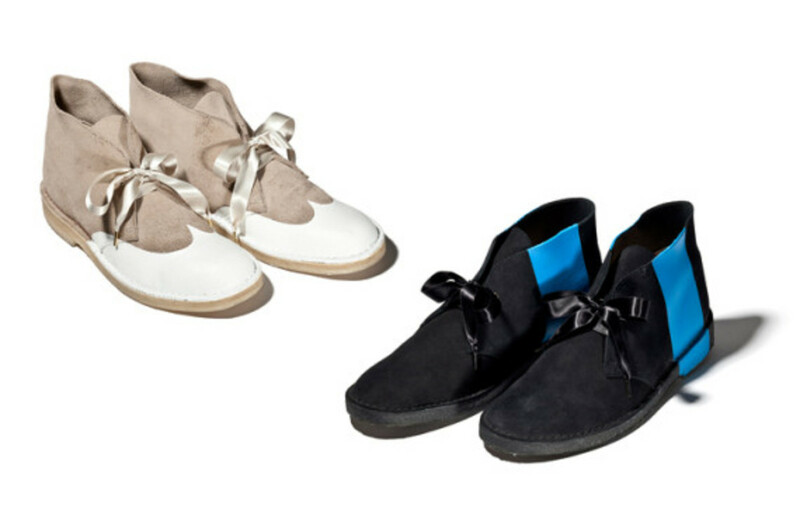 These will be exclusively available through sacai flagship stores in Japan and Dover Street Market Ginza. 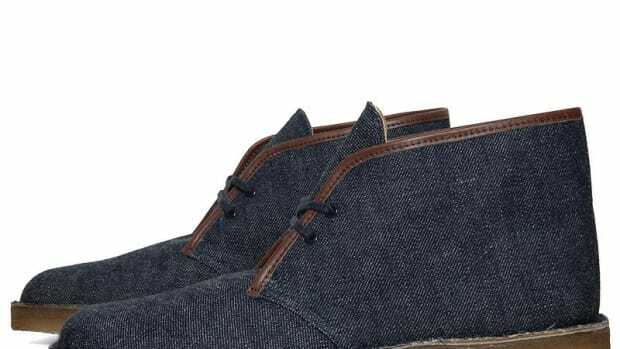 Be sure to visit the above-mentioned stores from Saturday, December 21.